The police can arrest you for a number of reasons, but when they do arrest you your right to freedom is exchanged for a number of other rights that legally protect you while in custody. After your arrest it is your right to be formally cautioned. The caution gives details of the crime you have been arrested for, and also informs you that if you do not mention something when you are questioned that you later rely on in court this may harm your defence. Also, anything you say to the police can also be given as evidence in court if your case goes to trial. If the police think that they have a strong case against you and have the evidence they need to prove that case in court, you will be given a formal caution. This reminds you of your rights and how your case will now proceed. This usually means sending your case file to the Crown Prosecution Service (CPS) who will decide if the police’s case is strong enough to go to court. At the police station you will be questioned. If you are under 17 years of age, a parent, guardian or an adult that knows you such as a teacher must be present. At this stage all you have to do is confirm your name and address. You do not have to answer any other questions. However, if you don’t respond to questions this will be noted and if your case goes to court this failure to cooperate could count against you. If your solicitor hasn’t arrived at the police station yet, it is your right to wait for them so you can use their legal knowledge to decide whether you should answer a specific question. Note however, that the police can delay your meeting with a solicitor if you have been arrested for a serious crime and they think that contact with your solicitor could interfere with the case. The code of practice that you should have read includes details of how the police should carry out their questioning. You are entitled to regular breaks for food and the toilet. Your rights on arrest also state that the police should not use interview techniques that place unreasonable pressure on you to answer their questions. Your interview will be tape-recorded, or in some cases written notes will be taken. You may also have your fingerprints taken as well as your photograph. Once your interview is complete the police will then decide whether they want to proceed with your case. If they do not, you will be released without charge. If they do want to proceed, it is your right to be given a charge sheet that will give details of the crime you are accused of, where and when your first court appearance will take place, and what – if any – are your bail conditions. You will appear before a magistrates’ court that will decide if you can have bail and if so, any condition you must follow. Note that you will not be eligible for bail if you committed a serious offence such as murder. 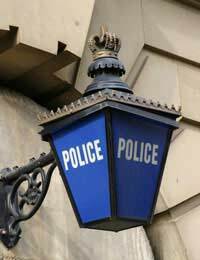 Read our article Police and Court Bail for more information about what to expect. My daughter was arrested last year, interviewed by the police but never charged.Now, some 9 months later she has been taken to magistrates court who have passed the case onto Crown Court.My daughter is pleading not guilty (as she is not guilty) of the offence.How can she be taken to court without having been charged with the offence? @Me - if you have had a previous caution then it will be registered on your record. Hi I got a caution 6 1/2 years ago and now have been asked to attend police station for an interview under caution..was just wondering will I be know to the police or will my caution not show up?? Can I get another caution? The fact your wife has retracted her statement against you and you have got back together as a family, does not mean the CPS will not go ahead with the charges. The CPS can rely upon the initial statement, decide to continue with the case and can still call your wife as a witness to give evidence in court. What the CPS will decide upon is whether there is enough evidence to prove you have committed the crime and whether it is in the public interest to prosecute. A few years ago the police were called by a stranger who overheard a commotion. Once they found him, they arrested my bf at the time as he physically assaulted me (tried to strangle me to death). He was released as he basically lied and said I'd got the injuries from sports - and under a lot of physical and psychological abuse, I begged the police to let him go. After a lot of therapy, I'm now a lot stronger and no longer scared of this monster - is it possible to get him arrested again in an attempt to prosecute or has that time now passed? Thanks. @Coll - it's up to the CPS if they want to charge your b/f. You can ask for the charges to be dropped, but even then there is no guarantee the CPS will drop them. They decide whether or not there is enough evidence to charge your b/f even if you don't want to. My partner been charged for assault and been in custody for 1 week whats next?will he be bail? @pole - depends upon how much evidence they have to gather. Possession of an offensive weapon is a serious offence which normally carries a term of imprisonment. While a pistol crossbow doesn't need a licence - it depends upon what you were doing with it at the time and whether CPS buys your expanation that wouldn't be used as an offensive weapon. Hi. I have been arrested in march for possession of class b (cannabis - about 0.7gram) and possession of offensive weapon (pistol crossbow). After being taken to the station(detained) I was interviewEd and formally arrested. I wasn't charged at a time, just reported to procurator fiscal. There is a ton of evidence that there was no malice in crime and police did point it out during the interview. How long does the procurator fiscal have to make a decision and for Court to contact me if they decide to proceed to a trial? I was arrested for breach of bail.for supposidly making threats.I phoned the police for help and told them I have it recorded and have witnesses that these people came to my house and the one I have bail conditions not to contact or speak to was trying to start drama at my address.the police did not investigate my evidence Alfter countlessly asking them to look at my phone vidio and speak to witnesses who was at my home to prove my innocence and also my witnesses for the charge I am up for.they did not disclose any evienne also. I asked for my solicitor twice but my solicater was not informed until I was brought up in front of a judge.and I was not interviewed in custady.the judge dismissed the case and still Alfter phoning before hand when the incident took place and when let out from court the police have still failed to come and see me and my witnesses to make accomplaint against the agressor I was arrested for when I phoned for help ?? I have been arrested and taken in for harassment after catching my partner with another man I text her a lot for a week at first as asking why then asking if she is ok in fear that she is ok then gave up and told her to Fock off the police had the text in interview but later that night released me on bail with no charge i don't understand if thay had these why wasn't charged ??? My brother got arrested when drunk for affray. His first offence at age 46z. He was released without charge pending evidence to back up the charger I presume cctv and accusers statement/witnesses. He didn’t hit anyone or break anything but likely threatened to.Where does he stand now? In march & April 2016 money was stolen from my workplace. I was suspended from work in June 2016 and summarily dismissed in August. I have always strongly denied I had anything to do with this. I went to the police station in July 2016 voluntary for an interview I was advised to by the duty solicitor to give a no comment interview. I know the police spoke to other staff members. The policeman said he would let me know what was happening and he would speak to the procurator fiscal. I have had no contact since then and it is now Octobet 2017 can anyone tell me when I might hear from the police again? I am now in a new position but this is getting me down ?? My partner was out on bail with tag & last night someone came to his path & was going to stab him . They threw the knife which landed in his house he then called police & because he raised his voicebecause of what happened they grabbed him & dragged him down stairs . I was so disgusted at the way they beat him. He phoned for help but instead waz arrested. Thought police were there to help ? I am a middle aged woman who was punched in the face, grabbed & kicked! by my neighbors partner (an x soldier). I was asked to talk to police & I did voluntarily but am disgusted & confused that I answered my neighbors questions but apparently I have to wait to give a statement while police investigate her version of avents. Meanwhile this strange predictor is passing my house everyday while I am still trying to come to terms with what has happened to ME! Is this normality now a days, no wonder this world has become so aggressive!!!! @Hetty - There are five main pathways for young people subject to bail requirements, an anti-social behaviour or criminal justice order. They may: 1. comply with the conditions and remain on bail or complete the order 2. fail to comply but not be formally breached 3. fail to comply, be formally breached but allowed by the court to continue with the current requirements/order 4. fail to comply, be formally breached and the court rescinds bail or revokes the order and imposes a new disposal 5. fail to comply, be formally breached and the court sentences them for the breach offence (may be in addition to 3 or 4).Impossible to say which one the court will choose. .
@HG - Have you been charged? Or where you released on bail? Arrested for possession of a bladed article. I was having a mental health crisis taken to the police station reviewed by the doctor and Amp and sectioned. It's been nearly 2 weeks since this happened I'm now out of hospital. The intent of the knife was to cut my throat and no intention to harm anyone else. I've not heard anything regarding the arrest nearly 2 weeks on should I be worried? If a person is arrested, they will usually be taken to a police station, held in custody in a cell and then questioned. The police can hold an individual for up to 24 hours before they have to charge them with a crime or release them. However, there are exceptions, please see link here . someone rang up 999 and said my fiancé had a "bomb", The person who rang said "I have a bomb I'm in Liverpool one my names --------".They came to my address looking for him. He has no clue on what's happening and neither do I,so we went birthday shopping as my son is now one today and when I arrived home a police officer came in at the same time and arrested my fiancé, My fiancé has never touched drugs or any illegal stuff like that especially a bomb. It's been 4 hrs and it's. it 00:'26 and I'm not sure if he's gonna be discharged or not, I need to see him I miss him. OrI allowed to visit him?I need him ???? I got arrested 8 weeks ago, policeman said because i handed myself in they would be more lenient, i got questioned but haven't received a court letter yet, does anyone think i would have received it by now?